Na das ist doch mal ein Subnotebook. Das Lenovo ThinkPad X220 und das X220 als Convertible Tablet sorgen gerade in der Mobile Computing Welt für Aufsehen, denn sie versprechen mit entsprechenden Akkus eine Akkulaufzeit von bis zu 24 Stunden. Das 12,5-Zoll Subnotebook hat eine Auflösung von 1366×768 Pixeln und kann als IPS Display geordert werden. Das Display des Tablet ist zudem mit 300-nit sehr hell und noch mit Gorilla Glas vor Kratzern und Stößen gesichert. Als Prozessoren können Intel Core i3, i5 und i7 ausgewählt werden, ausserdem noch bis zu 8GB Arbeitsspeicher. Die Webcam hat eine Auflösung von 720p und für Videotelefonie gibt es auch noch zwei Mikrofone für Noise-Cancellation. Das Touchpad kommt ThinkPad untypisch ohne die separaten Maustasten, sondern mit integrierten Maustasten. Die Akkulaufzeit soll mit dem 9-Zellen Akku bis zu 15 Stunden halten und mit dem für 179$ erhältlichen externen Akkupack kann man bis zu 24 Stunden arbeiten, man sollte dann aber auch kein ultraportables Subnotebook mehr erwarten. Los geht es ab April und die Preise starten ab 899$ (1199$ für das Tablet Modell). 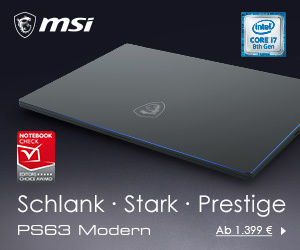 Wann wir in Deutschland mit diesem Subnotebook rechnen können ist noch nicht bekannt. 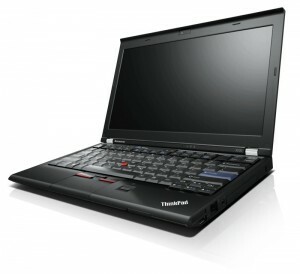 RESEARCH TRIANGLE PARK, NC – March 8, 2011: Lenovo announced today the next generation of the best-selling ultraportable laptop of 20101 – the ThinkPad X220 laptop – and the X220 convertible Tablet PC. These PCs give mobile business professionals the full performance and usability found in larger laptops, but in a super ultraportable design. The PCs run up to 75 percent faster than ultraportable competitors that use low-powered CPUs2, feature smart PC technologies for incredibly long battery life up to 24 hours3 on the ThinkPad X220 and sport a clean, revamped design with hinge-based latching and a giant touchpad in a thinner laptop design. Additionally, they feature improved durability with wider drain-holes in the spill resistant keyboard and a 50% improvement in drop test performance4. The ThinkPad X220 offers up to 15 hours battery life with a standard 9-cell battery. Battery life jumps up to 24-hours by adding the new ThinkPad external battery. The convertible tablet starts under four pounds with its standard 4-cell battery. When combined with a 6-cell battery and the external battery pack, the tablet can run for 16 hours continuously on one charge. Users charge the PCs on the external ThinkPad Battery when connected to the PC or separately. A battery charge indicator shows when the battery reaches a full charge. These speed-optimized PCs fit the same full-powered CPUs as bigger 14 and 15-inch laptops for full performance5, while similar weight competitors offer only low powered CPUs. Lenovo Enhanced Experience 2.0 primes the PCs for rapid boot, shut down and resume from sleep by tuning the BIOS and other hardware settings. With Intel™ HD integrated graphics the PCs perform twice as quickly in streaming video, editing photos and loading web pages. Additionally, USB 3.0 technology on select models transfers data lightning fast, up to 10 times that of USB 2.0. Equipped with second generation Intel™ Core® i7 processors, applications run fast and make multi-tasking hassle-free. The PCs come with self-aware and adaptive technologies to ensure priority components receive power for the highest levels of performance and battery life. Intel™ Turbo Boost Technology 2.0 boosts processor speed during intensive tasks, and with Lenovo Turbo Boost+, the PCs can stay in Turbo Boost mode longer by keeping processor temperatures below certain thresholds. With reduced power to non-essential hardware, the laptops achieve up to 30 percent longer battery life while playing multimedia so users can watch DVDs, listen to MP3s or stream web content longer. The „no compromise“ performance experience continues with technologies that solve everyday challenges. For example, they incorporate several technologies for excellent voice and video conferencing, such as private chat and conference call microphone modes, keyboard noise suppression technology and a dedicated LED-lit microphone mute key. The PCs also keep corridor warriors connected longer with Lenovo’s new Instant Resume function. This function maintains connections during sleep mode for up to 99 minutes, eliminating the need to login and reconnect between meetings. And tablet users don’t have to worry about losing their pen with the new „never-lost-pen“ technology. It notifies a person when he or she moves the tablet without the pen in the pen-holder. The inside of the new PCs reveal a cleaner, sharper design over previous models. Both the ThinkPad X220 laptop and X220 Tablet feature a 12.5-inch HD screen and self-closing hinges that shut the PCs. This space-saving hinge design brings several key benefits: better antenna and speaker placement for stronger thoroughput, a 45 percent larger touchpad and a cleaner visual design. The larger, buttonless touchpad gives extra room for fingers to scroll, highlight and do multitouch gestures. For students, mobile sales forces and other mobile professionals working outside, the multitouch tablet now adds a new rough and tough feature to its super bright, 300-nit screen with scratch-resistant Gorilla Glass. Already military specifications tested to meet extreme conditions, Gorilla Glass strengthens the screen so it can withstand scratches, scrapes and abuse from the field. The PCs are also business-ready: They’re easy for IT administrators to use and manage thanks to their second generation Intel™ Core® and Core® vPro processors. Common ThinkPad docking stations and batteries also allow companies to swap hardware among employees to maximize their resources and minimize cost. The ThinkPad X220 laptop and X220 Tablet will be available starting in April through business partners and www.lenovo.com. Prices for models start at approximately $899 and $1,199, respectively. For the latest Lenovo news, subscribe to Lenovo RSS feeds or follow Lenovo on Twitter and Facebook. Lenovo (HKSE: 992) (ADR: LNVGY) is dedicated to building exceptionally engineered personal computers. Lenovo’s business model is built on innovation, operational efficiency and customer satisfaction as well as a focus on investment in emerging markets. Formed by Lenovo Group’s acquisition of the former IBM Personal Computing Division, the company develops, manufactures and markets reliable, high-quality, secure and easy-to-use technology products and services worldwide. Lenovo has major research centers in Yamato, Japan; Beijing, Shanghai and Shenzhen, China; and Raleigh, North Carolina. For more information see www.lenovo.com. 2Comparison of available CPUs for i5-2520M CPU (2.5 GHz) to i5-2537M (1.4 GHz). [e.g. Samsung Series 9 weighs 2.88 lbs w/ a 2.4GHz i5-2537M; or Dell Latitude 13 weighs 3.3 lbs w/ a 1.4GHz SU7300 CPU. 6Prices do not include tax or shipping and are subject to change without notice and is tied to specific terms and conditions. Reseller prices may vary. Price does not include all advertised features. All offers subject to availability. Lenovo reserves the right to alter product offerings and specifications at any time without notice.